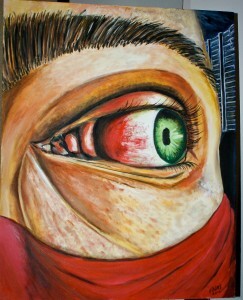 “Ojo Vigilante” oil painting by Christian Faltis, 2011. From Jack (age 8). Jack typed his reflection using Write:OutLoud and CoWriter software. What did attending the conference make you think that you had not thought before? It made me think about art. It represents most of the things in the world and people’s imagination. It makes us heavy thinkers. Whenever I look at art it make me really think about it and what it means. Not everyone thinks the same thing when they look at the same art. It made me think about the world and how there are so many different people in it. 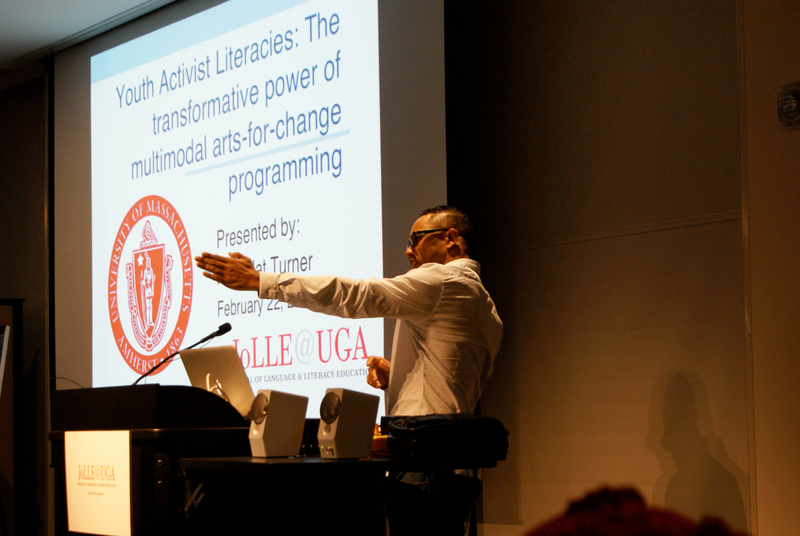 What was one of your favorite things from the conference? 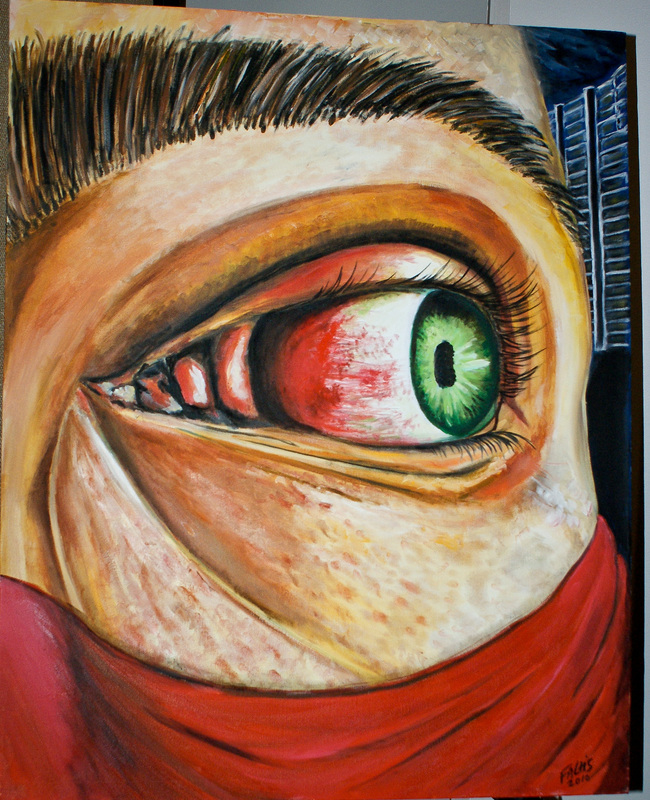 The piece of art I really liked was the person’s close up of the eye where you could see all the details. It make me think about ninjas. It also made me think about all the homeless people in the world and my town. It felt like somebody hiding in a deserted house couldn’t afford their own home. It made me feel sad. It made me want to help the world. It made me want to build shelters around town. It made me want to provide food and water. What will you always remember? I remember [KC] Nat Turner’s talk. He talked about lots of things, but I remember drones and how they are killing people and a lot of them are children. It made me feel sad. Why would people want to do that? It made me want to make signs that say stop the drones. It made me want to make posters. It made me want to start a legion. Our posters would say stop killing people for no reason. Stop killing children. I thought the music the students created was very truthful. I told Nat he was lucky to know such amazing students. All photographs courtesy of Steven Landry unless otherwise noted. It made me want to to make music about political rights. I could make music with my friends and we can post it to youtube and twitter. People will listen because it is important. Even though I am a kid they will listen to it because kids can make art and music about political rights the same as adults. What did it inspire you to do? I was inspired and excited and felt like I could do anything. It made me want to do what I can do to stop drone strikes, to help people, to help my community. I hope other people are inspired to do this too.